The following is how we think your CV should be set out. However there isn’t really a right or wrong way to do it. Just set all of the key information out and don’t overlap with your cover letter too much. That’s a key point actually – your CV gives the employer a quick overview of your suitability and your cover letter goes into more detail. The cover letter is more for persuading the recruiters. 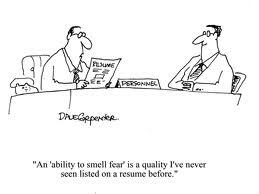 So don’t try and do too much in your CV. Don’t tell them your life story! Just give them a brief overview of your achievements. [Your University / educational institution]. List your most recent education first, mention all education back to secondary school. [Place of work] As above list your latest place of work first. Working at the Law Centre I advised members of the public on a variety of matters such as debt, benefits, employment and consumer rights. This usually involves listening to the clients’ problems, researching their problem, and clearly explaining to them what they should do next. Sometimes it is necessary to take further action for the client such as phoning debtors, writing letters for them, or directly representing them. I had one client personally write to me thanking me for the work I had done. Mention everything which could be beneficial to prospective employers. Mention your skill and then briefly explain how you gained the skill in question. It could be from an official course, personal experience or hobby. Don’t just list something like “Competent with computers” – that statement and no description sounds like the exact sort of thing someone who isn’t competent with computers would say. This section can be done very badly, and its importance is often underestimated. Here is an example of a good skill which is properly explained; keep the explanation short & sweet. Even consider putting down skills which aren’t directly related to law if you’re stuck. For example you could play an instrument such as the guitar. You can also use it to show a positive personality trait like determination explaining how all those hours of practising scales and chords have paid off. During my year abroad in China during 2011 I picked up the basics of speaking Chinese. I am currently taking online lessons in order to both further my speaking ability and learn how to read written Chinese. I have been a member of the Manchester go karting club for 5 years. Over that time I have participated in many races and have even had the chance to participate in a tournament in Germany. I won 2 races in total and finished 5th overall. Make sure your CV is grammatically correct and well formatted. Making it easy to read will make the recruiters job much easier. This can only benefit you. Ideally try to keep your CV under two pages. You don’t need to set your CV out like we have above – it’s just to give you a general idea.